Fr Franҫois Mourad, a Syrian hermit, was a guest at the Franciscan monastery of St Anthony of Padua in Al-Ghassaniyah. What happened is still unclear. Some sources say a stray bullet killed him; others claim Islamist insurgents shot him as they plundered and destroyed the religious building. 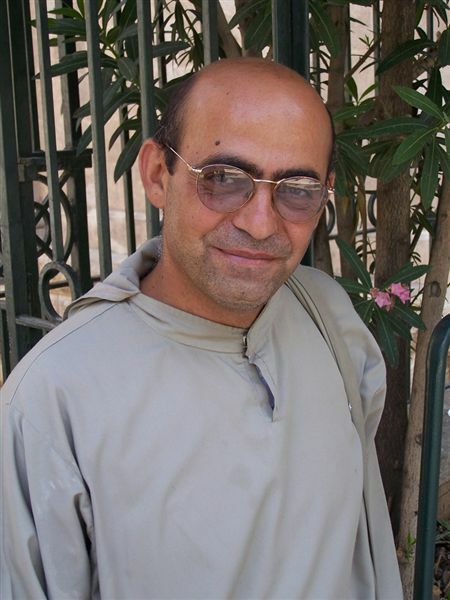 Damascus (AsiaNews) - The Custody of the Holy Land announced the death of Fr Franҫois Mourad (photo), a Syrian monk, and the assault of the Franciscan monastery of St Anthony of Padua in Ghassanieh, a predominantly Christian village in the district of Jisr al-Shughur in the province of Idlib, near the border with Turkey. Fr Halim Noujaim, a Franciscan priest, said in a letter to the Custodian that Frs Hanna and Firas, both Franciscan religious from Kanaieh (Latakia), went to Al-Ghassaniyah to collect Fr Franҫois's body, confirming that the convent had been partially destroyed. In his letter, Fr Halim issued an appeal to the West, underlying the dangers of helping armed anti-Assad rebels, who support religious extremists responsible for several attacks against the Christian minority. At present, what happened is still unclear. In one version of events, the monk, who had been a guest at the convent for the past few months, was killed by a stray bullet that had come through a window.